Wynford Moentrol Shower Only in Oil Rubbed Bronze (Valve Sold Separately) Crisp edges and uncomplicated style features give the Voss collection an ageless, yet fashion-forward, presence. Each silhouette brings a confident transitional style to the bath. 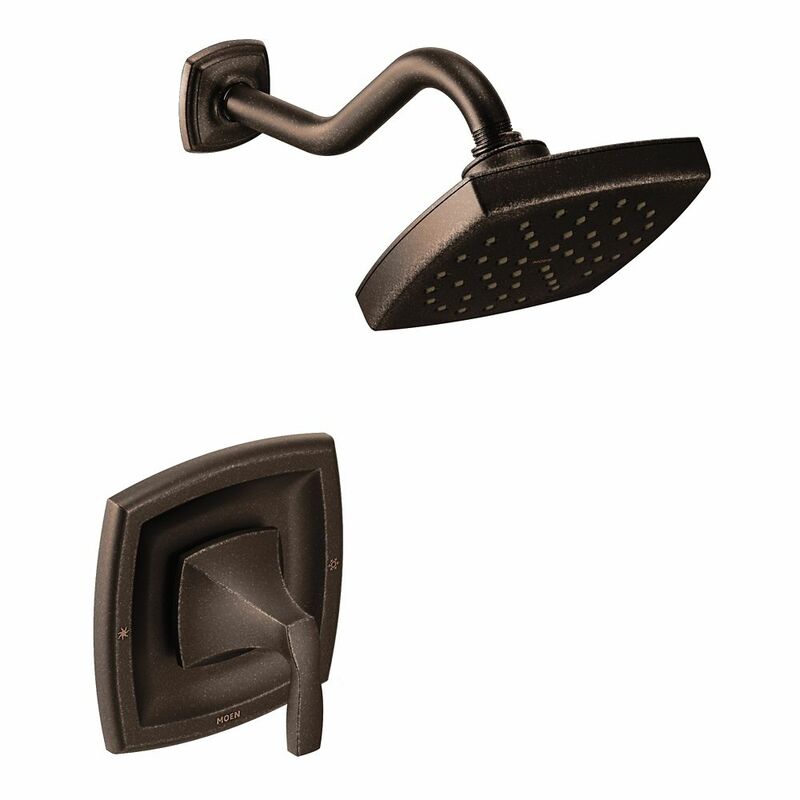 Wynford Moentrol Shower Only in Oil Rubbed Bronze (Valve Sold Separately) is rated 2.0 out of 5 by 1. Rated 2 out of 5 by mbpickett from Trim Kit would not install level This is a Moentrol trim kit that I could not install level. Since the handle trim kit is a square shape it is key that it installs level. I checked my valve and it was installed level. With a round shaped trim kit you can probably get away with it not being perfectly level, but with a square one it has to be pretty level or it looks bad. I can only deduce that the screw holes are not placed correctly. So I returned it. I am wondering if others have had this issue.